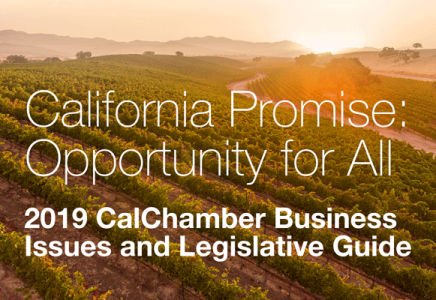 A California Chamber of Commerce-supported job creator bill that seeks to limit frivolous litigation and claims regarding construction-related accessibility violations unanimously passed the Assembly Judiciary Committee yesterday. A bill from 2015 was very similar to SB 269. CalChamber-supported SB 251 (Roth; D-Riverside), also a job creator, would have limited frivolous litigation and claims regarding construction-related accessibility violations by providing businesses that have proactively sought to become ADA compliant with an opportunity to resolve any identified violations and providing a tax credit for such improvements. In an effort to move the bipartisan-supported bill forward, the bill’s author, Senator Richard Roth, removed the tax credit language. SB 269 unanimously passed the Assembly Judiciary Committee 10-0 yesterday. Ayes: Alejo (D-Salinas), Chau (D-Monterey Park), Chiu (D-San Francisco), Gallagher (R-Yuba City), C. Garcia (D-Bell Gardens), Holden (D-Pasadena) , Maienschein (R-San Diego), Stone (D-Scotts Valley), O’Donnell (D-Long Beach), Wagner (R-Irvine). SB 269 will now head to the Assembly Appropriations Committee; no hearing date set.